Though I always want to eat healthy while backpacking, I usually fail miserably and end up eating lots of junk food. Why? Well, if given the option between convenient or healthy I tend to choose the former. One day I decided to research healthy and convenient backpacking foods in an effort to buck this trend. I came across Greenbelly Meals and was immediately intrigued. Their Meal2Go bars were described as meal replacement bars that provide exactly 1/3 of your daily nutrition for six core nutrients. Maybe this was exactly what I had been looking for all along. Eager to give the bars a try, I ordered a three-bar variety pack with one of each flavor. Then I hit the trail for a taste test. For the taste test I decided to do an overnighter on the AT Approach Trail. Since these bars are marketed as meal bars, they were the only food I took. I decided to eat one for dinner the first day and the remaining two for breakfast and lunch the next. After doing just that, here are my thoughts. After summiting Springer Mountain, the southern terminus of the Appalachian Trail, I turned back and made for my chosen campsite. Halfway there I got hungry. I dug into my backpack and pulled out my first Greenbelly meal bar: Dark Chocolate/Banana. I opened the package, took out the bar, and took a bite. The texture was nice and chewy without being tough like some other bars out there (e.g. RxBars). It reminded me a little of a Chewy bar, though the Greenbelly bars are denser and not as crumbly. The chocolate flavor was strong and tasty, and I got just the slightest hint of banana. Though they don’t provide much flavor, the banana chips do add a nice crunch along with the almonds and peanuts. The bar’s sweetness (this flavor contains 32g of sugar) was slightly overbearing by the last bite, but drinking water also helped combat this. Overall, I was satisfied with the taste, texture, and size of the bar. I was just a little disappointed I didn’t get more banana flavor. After finishing the bar I headed to the campsite. As I pitched my tent and settled in for the night I expected to have minor hunger pangs. A single meal bar couldn’t be that filling, right? Wrong. Even during a restless night of sleep my stomach didn’t grumble once. The bar had filled me up. I awoke early the next morning and grabbed my remaining Greenbelly bars from the food locker in the corner of the campground. Because I value convenience so highly when it comes to trail food I was thrilled that I didn’t have to cook or prep anything for breakfast — or was any dishes afterwards. The first bite of the Peanut/Apricot bar was full of rich peanut buttery taste. At first I liked the balance between the savoriness of the peanuts and the sweetness of the apricots, but by the last bite the sweetness of the apricots was a little overbearing. I had to take sips of water between bites to wash it away. The taste and texture reminded me slightly of a Clif Crunchy Peanut Butter bar, though the Greenbelly bar doesn’t have as strong a peanut flavor. It’s also more crumbly — I fed a few ants that morning. I finished my bar and set off down the trail. As with the previous bar, I expected my stomach to be rumbling a couple hours later. Surprisingly, it never did. Miles came and went and I found myself near the trailhead just in time for an early lunch of my final bar. The first thought that entered my head after biting into the Cranberry/Almond bar was that it tasted quite peanutty and not very almondy. Curious, I looked at the ingredients list. Sure enough, there was peanut flour sitting third on the list behind tapioca syrup and dried cranberries. Sliced almonds, on the other hand, were listed tenth. Feeling slightly misled, I shrugged and kept eating. The cranberries were a little mild, not as sweetly tart as in other cranberry-containing bars such as the Kind Cranberry Almond Bar. And despite cranberries being the second ingredient I still found the peanut taste to be stronger. I did find this bar to have a better balance of sweetness and savoriness than the Peanut/Apricot despite it being the one with the most sugar (42g). If I were to order again, I’d order just the Dark Chocolate/Banana bars. Recently I tried cold soaking in an attempt to simplify my backpacking meals. It was more convenient than cooking them and having to fuss around with my entire cookset, but I still disliked having to wash my cold soaking container afterwards. A Greenbelly Meal bar, or any meal bar for that matter, is the pinnacle of convenience when it comes to backpacking meals. No prepping, no cooking, no cold soaking, and no washing dishes afterwards. While I have some minor reservations about the nutrition profile of Greenbelly Meals (discussed below), it was reassuring knowing that by eating them I was getting a good amount of calories, fats, carbs, proteins, salt, and fiber. Fiber in particular can be tricky to get from common backpacking foods. On a recent backpacking trip in Utah, my breakfast consisted of fruit, nut butter, and instant oatmeal. Despite eating a fair amount in the morning I was reaching for snacks not even two hours later. I was constantly hungry. I expected to feel the same constant hunger during this overnighter. The bars, at 640 or 645 calories, couldn’t possibly keep me filled, right? I was wrong. These bars were surprisingly satiating. On longer hikes where hiker hunger kicks in you’ll probably need more than one of these bars per meal, but on my short trip one bar per meal was enough for me (and at 6’3″, 180 lbs, I tend to eat more than the average person). Personally, I’m not a fan of eating bars (or anything for that matter) with lots of sugar. And Greenbelly Meals definitely have a lot of sugar. The bars range in sugar content from 32-42 grams. The first ingredient in every flavor is tapioca syrup, and there are other sweeteners added such as honey and agave nectar. High sugar content is pretty standard for nutrition bars unfortunately. Larabars and RxBars are date-based and thus have lots of fructose, and many Probar flavors have brown rice syrup listed as the first ingredient, with typically 20-25g of sugar per bar. Kind and Quest bars are a welcome exception to this trend. Some Kind bars have as little as 5g of sugar. Many Quest bars have even less. Though more or less par for the course when it comes to bars, I still wish Greenbelly’s bars didn’t have as much sugar. I understand when some people exercise heavily they like to consume foods or drinks with lots of carbs — often in the form of sugar — as a way to keep their energy up. I’m just not one of them. For this taste test and review I purchased the three-bar variety pack. At that quantity the per-meal price was $7.66 before tax. If you purchase in greater quantities the per-meal price drops a bit, but as someone on a tight budget that’s a little steep for me. Those of you who love carrying freeze-dried meals or other types of meal bars such as Probars probably won’t mind the price as much as I do. Though I love convenient trail food, instead of paying $20+ per day for it I’d rather make my own trail mix or cold soak something. When compared to other popular backpacking meals, however, the price of a Greenbelly Meal starts to look more appealing. Many freeze-dried meals from Good To-Go, Mountain House, and Backpacker’s Pantry will usually run you between $6 and $10 a pouch for a comparable amount of calories. And they don’t provide 1/3 of your daily nutrition. If you were to go the bar route, the prices are comparable there as well. Probar Meal bars might be the most similar to Greenbelly Meals and they run around half the price for a little over half the calories. On balance Probars might be a slightly better deal. Their bars don’t have 33% nutrition for your daily macros and the like, but they are nutritious. Other nutrition and energy bars like RxBars, Larabars, Luna bars, and Clif bars might be cheaper on a per calorie basis but you’d have to eat a lot of them to match the calories provided by a single Greenbelly Meal. For our favorite flavors from other top brands, check out our guide to the best energy bars. 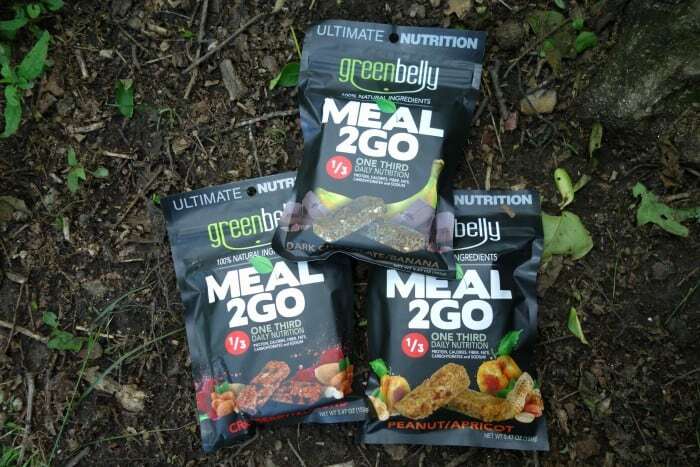 For most backpackers, Greenbelly Meals will be best for a meal, but not all meals. Overall they taste good and I didn’t get sick of them after eating them for three meals straight. They’re extremely convenient, the nutritional profile is great, and they’re surprisingly filling. The sugar content is higher than I’d like but similar to that of other meal and energy bars. If you can afford them they’re a solid choice of trail food to add to your rotation.